Start planning at least two months before your move! This is a great time to schedule your moving company, contact the post office and utility companies for both houses. Don’t forget to give your family and friends your new address. Only one month left! During this month, focus on the logistics of the move. Reserve parking spaces, find child care for moving day, and PACK. Tip: The key to efficient packing is correctly labeling each box with the room that it will go to in your new home. Walk through your old house and say goodbye. It’s hard to leave a place with so many memories, but remember to look forward to all of the fun and memories you will make in your new home. So, you’ve moved. What now? Throughout the week following your move, focus on unpacking items that are most essential to you such as items for the kitchen, bathrooms and bedrooms. Remember to spend some time exploring your new neighborhood and meeting your new neighbors. One month after your move. 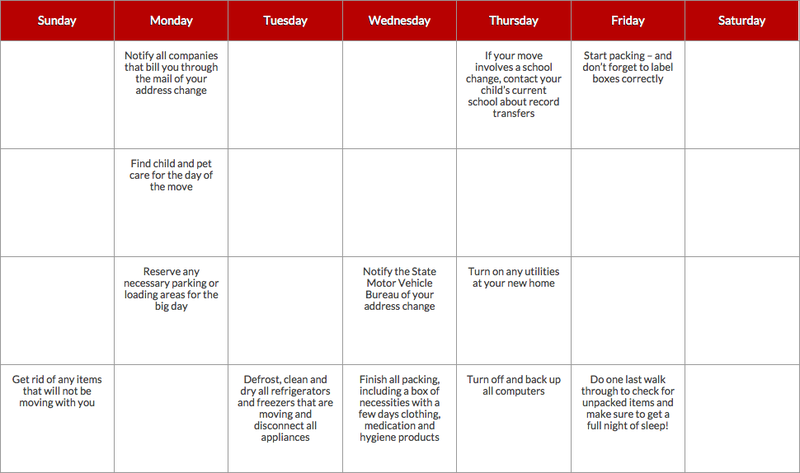 This month, focus on any last minute bills or unpacking that still needs to be done. More importantly, you went through all the work of moving to your new home for a reason so enjoy it! Moving requires a lot of work, but by taking it one step at a time, your move will be easier and more successful. 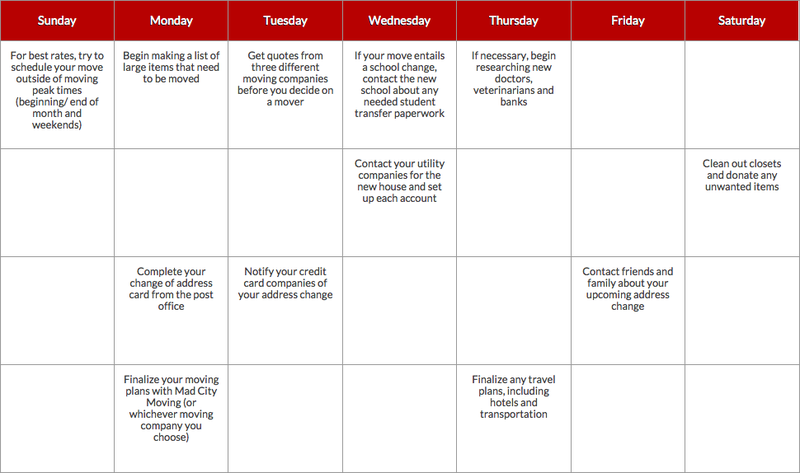 Remember to print out and follow this calender in the months leading up to your big move. For any questions, moving inquiries or advice, be sure to give us a call at 608-274-9855 or click here. Mad City Moving is here to help make your move a smooth one!